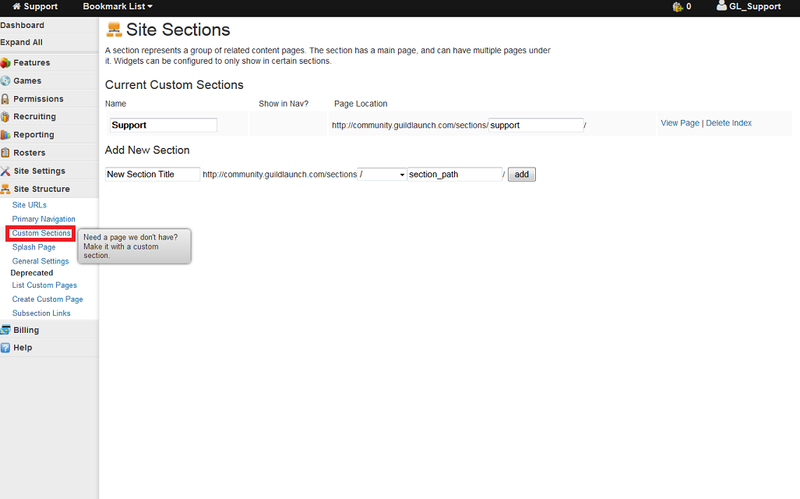 This is done on the Admin Menu -> Site Structure -> Custom Sections area of your site. From here, you can set the name and URL of the custom section. Once you've created the section (under the Add New Section area on that page), you can View Page to access it. There will be an option to Edit Page, which will bring up a WYSIWYG menu you can use to create custom content that isn't already baked into the system.